Sponsorship can feel quite insular. Not many people, on the front line, are willing to share detailed knowledge of how they manage their programs. That’s understandable; it’s a competitive market out there and there isn’t a lot of room for error. For some, the insular feeling is even greater if they compete in a crowded market. As such, it can be hard to know if you are doing well and if your commercial program is healthy. This regularly manifests itself in people pulling me aside and asking, often in a hushed tone, “How do we compare to other organisations in terms of our sponsorship program?”. I’ve been asked that question in many parts of the world. It seems sponsorship managers everywhere are constantly wondering if their commercial program is healthy. For me, however, it is the wrong question to ask because it focuses too much on others. Let’s say, for example, that I can score a commercial program out of 100. If others you want to compare yourself to are scoring 55-60%, and you are scoring 75%, then I think you are doing awesome (if comparing yourself to others is the important element). Is 75% a good score? Sure; it’s middle of the road. Could be better, could be worse. But what if others were all scoring 90%? I’d probably tell you that you are not doing so well (again, if comparing yourself to others is the important element). What the question fails to take into consideration is how important various aspects of your commercial program are. Everyone is different and place differing amounts of focus, energy and resources into different parts of the commercial program. Would you go to the doctor for a check-up and ask “Doc, am I healthy compared to others?”. The Doctor doesn’t care about how you compare to others; they are only concerned with whether you are healthy. Furthermore, if you do need to make some adjustments, they’ll provide advice and guidance tailored to you. As such, the better question to ask is “Are we healthy?”. At the end of the day, the only people that can control how well your program is doing are the people in your organisation. In saying that, there are many variables which affect the health of a sponsorship program. Thankfully, a lot of those can be controlled by you. To understand the health of your sponsorship program it is a good idea to look both individually at specific sponsor relationships and collectively across your entire program. This can be a daunting task but a sponsorship health-check is vital in understanding the areas which require your attention BEFORE they cost you money. To help you along your way, I have put together four elements you should be monitoring so you can proactively manage your sponsorship program and ensure the elements you can control are in good shape. Given the detail required to appropriately assess your sponsorship program, we will look at these elements over two blogs. We will focus on Relationships and Internals in the next blog but for this week we will take a look at monitoring and managing Return on Investment and Return on Objectives. People often use Return On Investment (ROI) and Return On Objective (ROO) interchangeably. In the sponsorship industry, while they both depend on each other for success, ROI and ROO are two very different things. A sponsor should receive ROI if you simply deliver the benefits that you are contractually obliged to deliver e.g. signage, tickets, hospitality, naming rights etc. It is those benefits, however, that you deliver that enable a sponsor to achieve their objectives. For example, delivering signage (ROI) can help achieve the common objective of Brand Awareness (ROO). The easiest way to keep the difference between ROI and ROO clear is to remember that brands don’t sponsor you because they want signage. Instead, they sponsor you because that signage helps them achieve an objective e.g. Brand Awareness. That is why it is important to ensure that any sponsorship you bring to your organisation has clear objective goals for the brand. Come renewal time, if you have been helping them achieve their objectives, then you will have become an important and trusted element of their marketing and that will make renewal much easier. That’ exactly why we want to check the health of those two massively important elements. Q – Do we track and acquit when benefits are delivered and do so as they occur? This is important as it allows you to both ensure you are fulfilling obligations, and also allows you to be on top of any notations or variances as they happen; this results in more accurate and timely re-cap reports. Q – Do we have visibility of whether benefits are actually being used by our sponsors? If sponsors are not using benefits it presents both an opportunity and a threat. Consistently unused benefits could result in sponsors perceiving a partnership to be not suitable and ultimately result in churn. Monitoring benefits utilisation, and specifically being aware of those benefits which aren’t being used, enables you to address this issue on-the-go and ensure value can be found for the sponsor. Q – Is the sum of the recommended retail price of benefits provided greater than the total of the cash and value-in-kind received? Sponsors should always get more value than what they pay for and it should not just be those who have branding assets with a media value who get over and above. Being able to show value for money, therefore, is a great starting point because if all benefits are delivered, and utilised, the spend should never come into question if all other elements are also working well. Q – Are we aware of exactly which benefits have been or were not delivered as well as those still scheduled to be delivered? Missing delivering benefits is a big no-no. However, it is sometimes unavoidable and often happens as staff turn-over or records aren’t well kept. Knowing what has been missed, and proactively managing the situation, including knowing what’s still to be delivered, helps all parties make the most of those opportunities. That gives you the best chance of realising maximum value. Q – Can we assess if we are on track to achieve Return On Investment? There are a number of elements which contribute to this, some of which have been addressed above, while others are achieved through the engagement of organisations such as Nielsen Sports etc. The key here though is the ability to assess it periodically and run accurate reports as needed. This allows you to proactively address any shortcomings before they become an issue. Q – Do we know the objectives we are trying to achieve? It is very hard to find benefits which are going to add value if you don’t know what a sponsor is trying to achieve. Not being aware of the sponsor’s objectives will almost certainly result in churn. Working with your partner to ascertain their objectives, and then aligning benefits to those objectives, will set you on a far more successful path. Q – Do we know the goal(s), for each objective, that we are trying to achieve? ROO is not just about helping sponsors achieve their objectives and aligning benefits to them. Real ROO comes by knowing the goals a sponsor sets under each objective because it is your job to help them achieve those goals. Additionally, having stated goals helps everyone know what they are aiming for and ultimately provides the hard measure for success. Q – Can we say that benefits in our relationships are aligned to the objectives the sponsor is trying to achieve? This really gets to the heart of best practice sponsorship. Long gone are the days of selling pre-conceived packages to partners. Nowadays, you need to know the sponsor’s objectives and only deliver benefits which align to those objectives and which ultimately help achieve the goals of the sponsor. Q – Are we involved in discussions about how benefits are being activated? If you are involved in benefit activation discussions, it shows that your partner trusts you and sees you as a valuable contributor to their sponsorship plan (and overall marketing efforts). As a rights holder, you know best what engages your audience, what is possible with external parties and what other partners are doing. This allows you to either augment or avoid cross-over messaging. As a result, being involved and working through activations with your sponsors will be a key factor in delivering ROO. Q – Are we aware if we are on track to achieve the stated goals of the objectives? Measurement is the key to ongoing success and, as stated earlier, reporting those outcomes to sponsors will help them internally and maintain satisfaction and trust that the partnership is working well for them. Helping achieve stated goals positions you as a business partner rather than just a supplier/cost and that is an important factor in any decision to alter the path of their sponsorship spending. Sponsorship success and measurement is now a business practice which needs to be taken seriously. Sponsors now try to avoid chairman’s choice decisions around sponsorship and are demanding a much more sophisticated approach to measurement, management and assessment. As a rights holder, you can help this by being proactive, maintaining and having access to accurate information at all times and acting on that information in a positive manner. 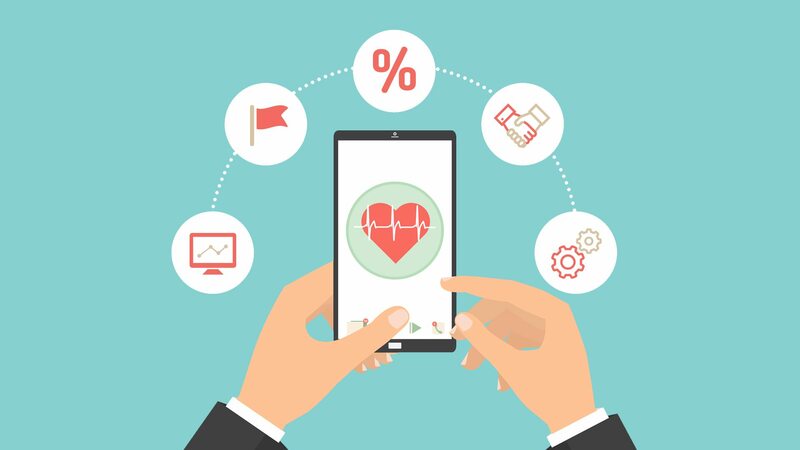 The next entry in this series focuses on the final two elements of your sponsor health check by looking at managing and monitoring your Relationships and Internal Practices, here. If you are ready to go straight to the free, online, self-assessment health check tool.